We are proud to announce the first ALTERNATE CYCLE ATV DRAG RACING SERIES. Fun, prizes, and especially BRAGGING RIGHTS are yours for the taking - all you need is the fastest quad! 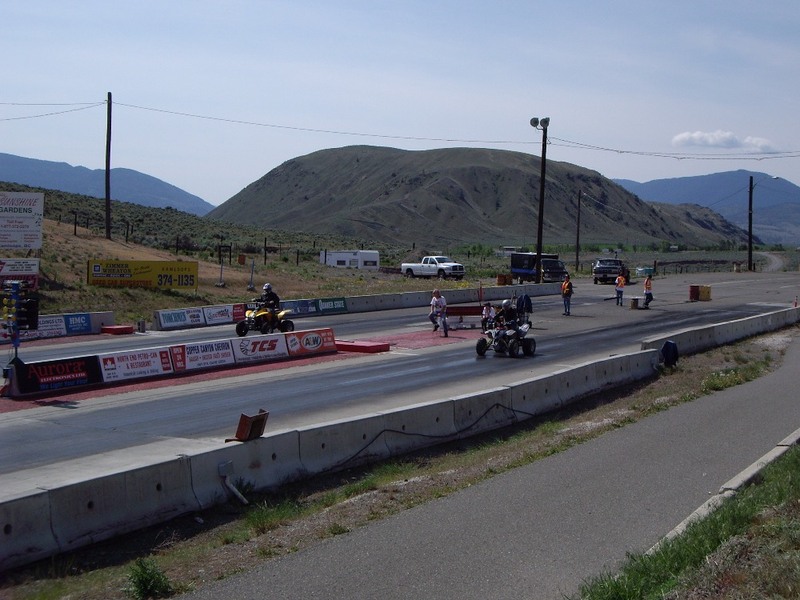 We will be bringing our souped-up quads to the Ashcroft Dragstrip for a 6 events this summer, and we would love to see you at the races. 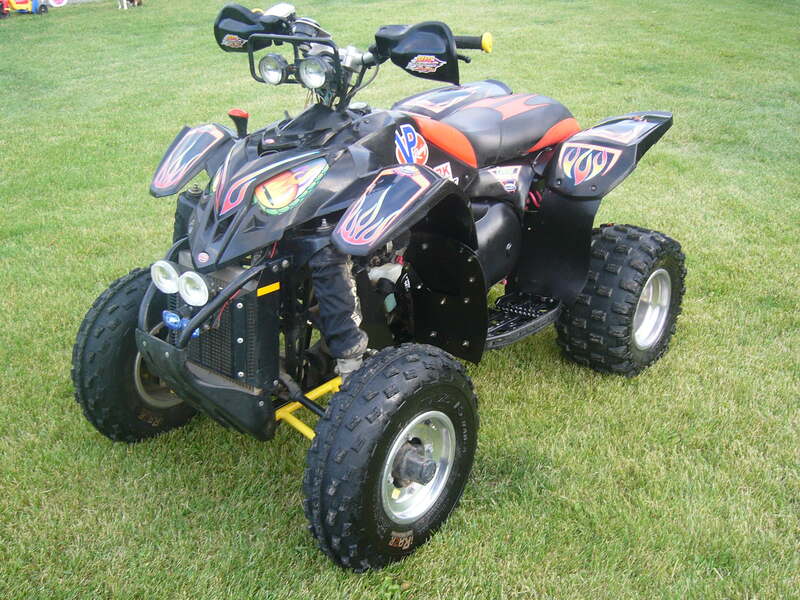 Very little special equipment is necessary - the races are run on the 1/8th mile asphalt strip and your regular trail-riding quad will be just fine. A set of tie-downs to compress your front suspension is the single most important modification you should make to your quad. The cost will be $25 for a day of racing. You will get at least 5 runs, with time slips, and we will be racing for fastest quad as well as bracket racing - that means you don't have to be the fastest to win, just the best/most consistent. We really had a great time racing last year and we hope to see a lot more ATVs on the strip this year. 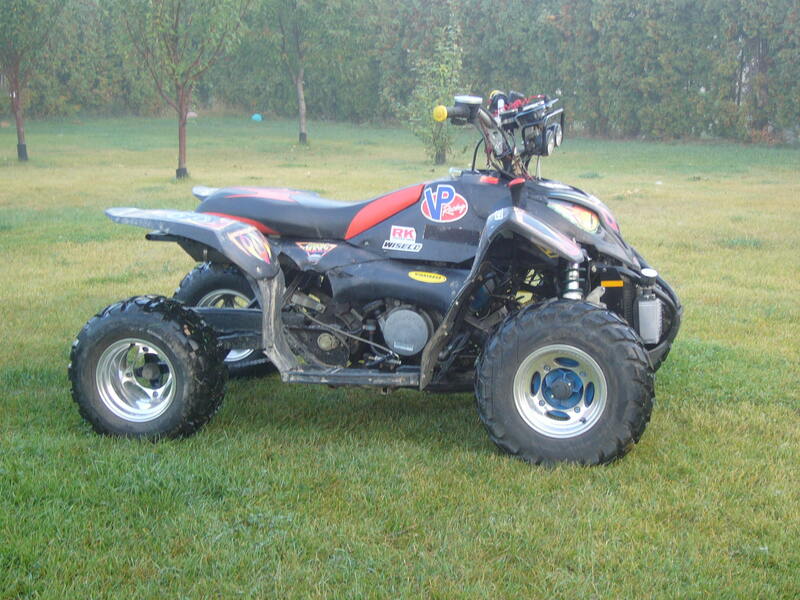 And if you have any loud-mouthed riding buddies who claim to have the fastest quad, you should definitely invite them to put their money where their mouths are! Please call or e-mail Paul or John at Alternate Cycle if you have any questions. Alternate Cycle mechanic, John McComb, has built a turbocharged Polaris Scrambler 500 for the drag strip. 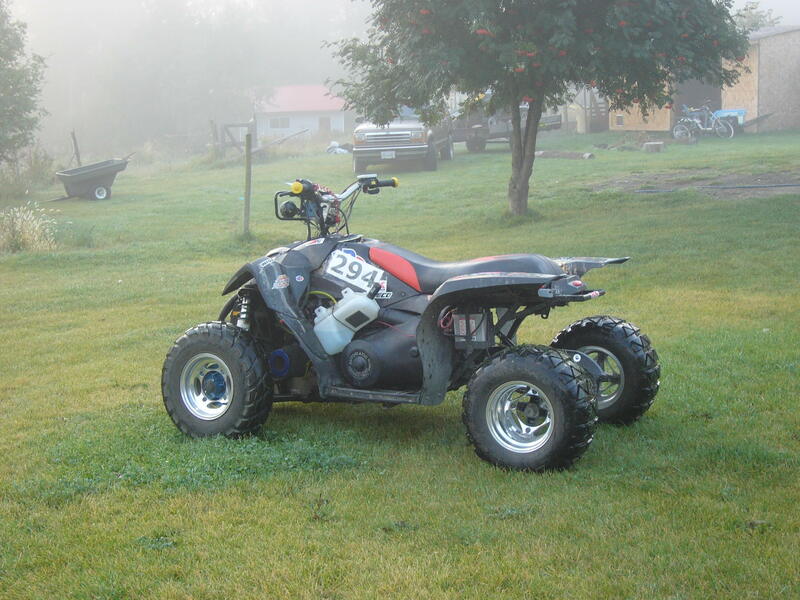 Specifications: 2004 Scrambler 500, 2WD. Mods: Mitsubishi turbo, Mikuni BSR carb, Lengthened swing arm, Custom intake, black Predator plastic, Methanol injection, Custom clutches, Magura bars, Rox risers, and drag tires. Here is the same drag quad from another angle. Drag race at N'lakapxm Eagle Motorplex on May 12, 2007.